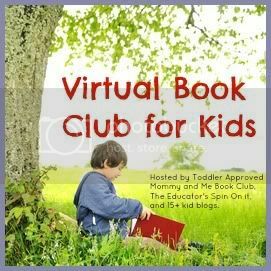 Today I am announcing the March Virtual Book Club for Kids author, Julia Donaldson. During the month of March, we will be exploring books written by author Julia Donaldson. On March 18th, I will share the books we have enjoyed as well as some fun activities. Other bloggers will share their favorite books by Donaldson as well. Everyone is invited to participate in reading books by Julia Donaldson. If you have an idea you'd like to share through a blog post, you can come back and share your ideas here at Ready-Set-Read on March 18th. If you are participating, feel free to grab a button! Comment below and let me know if you'll be joining us this month!